Above It All Treatment Center’s Admissions Team is advocating for addiction recovery and education by running the Heroes in Recovery 6K. Myths about addiction cause stigmas, but facts can dispel myths. One of the common struggles of addiction recovery is overcoming the myths and stigmas that surround this condition. It is tough to feel strong and motivated when so many people are misinformed about what addiction and recovery are all about. Breaking down these stigmas is essential, and the Above It All Treatment Center Admissions team, is taking to the streets to enhance education and show their support by running the Heroes in Recovery 6K on February 6, 2016. This year’s race theme is “Break the Stigma” and is a strong follow up to National Drug & Alcohol Facts Week (NDAFW), which ran from January 25-31, 2016. NDAFW’s theme this year is “Shatter the Myths.” Myths and stigmas about addiction go hand-in-hand. “Myths about addiction cause stigmas, but facts can dispel myths,” says Bianca Cirimele, Director of Marketing. “It is what people don’t know that fuel these stigmas. One such stigma that lingers is that addiction is a choice and people can stop whenever they want to. It’s not that easy or clear cut.” Addiction changes the way the brain is wired and interferes with the person’s ability to stop on their own. Another stigma is that those who are battling addiction are living unhealthy lives. Recovery helps them to turn their lives around and find healthier alternatives to drugs or alcohol. Running is a wonderful form of exercise that strengthens the body and mind and helps to prevent relapse. It produces a natural high that boosts mood and can give people a sense of accomplishment. The Admissions team will hit the pavement with dozens of others who are passionate about creating a community that supports addiction recovery. The Heroes in Recovery 6K will benefit SafeHouse of the Desert, a 24/7 non-profit shelter for youth in crisis in the Coachella Valley. The event will raise awareness and promote education to clear up misconceptions and equip people with the facts they need to dispel myths and break down stigmas. And the Admissions team is not alone in their efforts. The desire to improve public perceptions about addiction and recovery runs far deeper. Above It All strives to create high quality, compassionate, and effective care at all levels and be responsive to the needs not only of clients but of the community. The Admissions team’s participation in the Heroes in Recovery 6K is just one example of how employees are giving back and making a positive difference. More information about Above It All Treatment Center is available online at http://www.aboveitalltreatment.com. 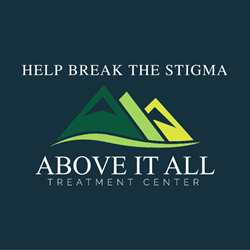 Above It All Treatment Center is a fully accredited addiction treatment center located in Lake Arrowhead, California. It is licensed and certified by the California Department of Health Care Services (DHCS), accredited by the Commission on Accreditation of Rehabilitation Facilities (CARF), and a member of the National Association of Addiction Treatment Providers (NAATP). The facility offers evidence-based models of treatment and follows the 12-step methodology. In addition, clients engage in holistic activities to strengthen mind, body, and spirit as they are equipped with the strategies and resources necessary for recovery. Above It All is nestled high in the Lake Arrowhead Mountains providing a beautiful and serene environment.